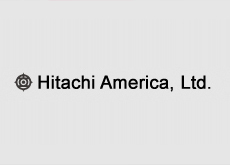 Hitachi America, Ltd. | Network Directory : Hitachi in the U.S.A.
A subsidiary of Hitachi, Hitachi America, Ltd., serves customers across the Americas with a range of products including power and industrial equipment and services, and consumer electronics. Designed with precision using groundbreaking technology, our products deliver the ultimate experience. Our Proton Beam Therapy system uses innovative technology to maximize radiation to the target tumor, while sparing the adjacent tissues.